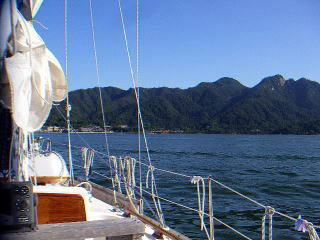 The island, which is “shima” or “jima” in Japanese, has two names: Miya-jima and Itsuku-shima. 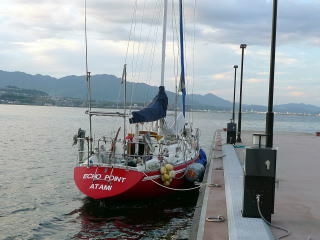 See pictures of the berth on above page. 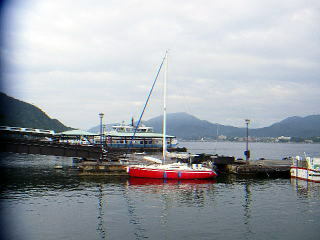 About five boats can be moored at the pontoon which has power and water posts. 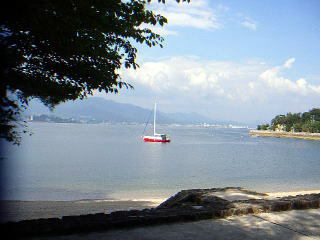 It is located in the 15 minutes walking west of Itsuku-shima Shrine. 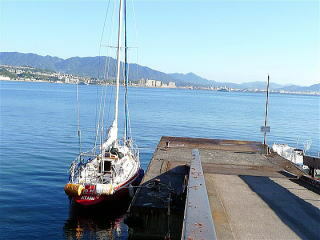 Its mooring free is JPY3,180 a day for a 40ft boat. 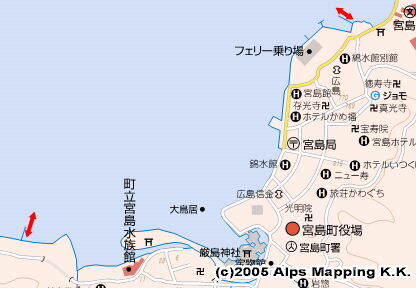 I visited Itsuku-shima in 2007 and 2013. On 2013 Google Map, I moved from the ferry pontoon in the east of the shrine to current Miya-jima Visitor Berth in the west of the shrine. As Itusku-shima Shrine is a World Heritage sightseeing spot, there are many restaurants, food shops, public bath houses and toilets. No big supermarket or no coin laundry.